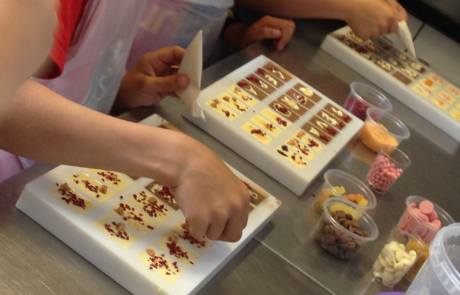 Coco Kitchen – Chocolate Workshops in St Ives for families, children, grown ups and chocoholics! Welcome to the brand new Coco Kitchen here in St Ives. 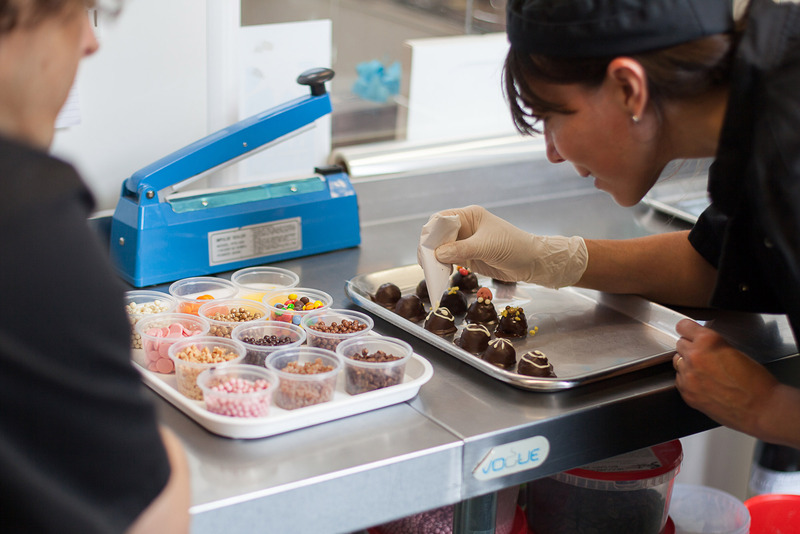 Coco Kitchen is a family run business and you can be sure of our greatest care from the moment you arrive at our all new purpose built facility till the moment you leave with your chocolate haul. 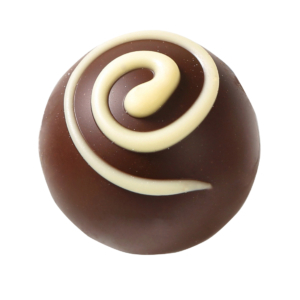 Made with the finest chocolate and ingredients, your wonderful creations will be admired by all, (if you feel like sharing, that is). Coco Kitchen is Chocolate Heaven – Dive In! 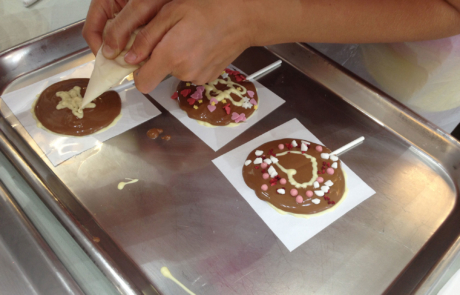 Coco Kitchen features a bespoke Chocolate Workshop in which you will have your own purpose-made workspace and tools. We have washroom facilities and if you want to hit the beach, go for lunch or saunter round the shops after your workshop, we’ll be happy to store your chocolate safely for you till you’re ready to collect. 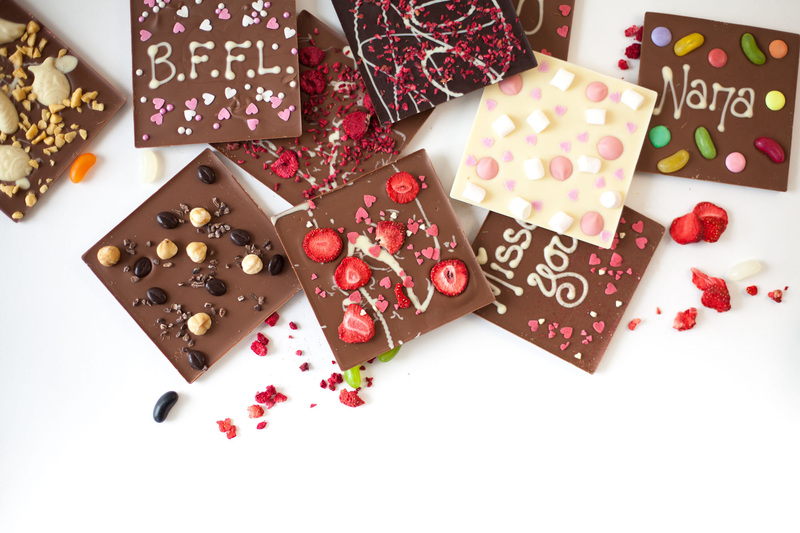 We also run Seasonal Sessions on occasion to produce chocolate for special times like Valentines Day, Mother’s Day or Christmas. 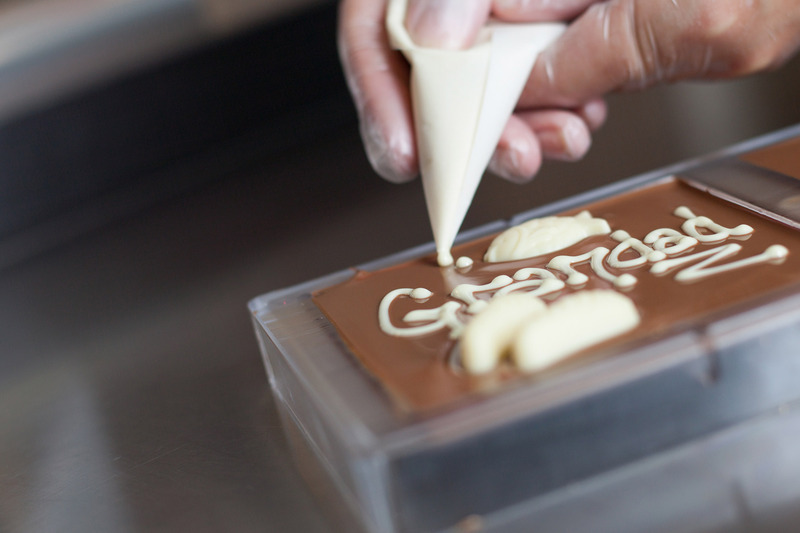 Here you can really go to town making chocolate gifts for friends and family, and producing more specialist items such as chocolate shoes, Christmas trees and moulded figures. All ingredients included. Choose a fun Chocolate Workshop and you’ll find all chocolate lovers are welcome, from tots to teenagers, parents and seniors. This is an activity everyone will enjoy, and it’s something you can all do together, including the under 7’s. At your workshop you’ll be moulding chocolate and designing and decorating a selection of chocolate treats including bars and lollies, using white milk or dark chocolate and ingredients and toppings of you choice. 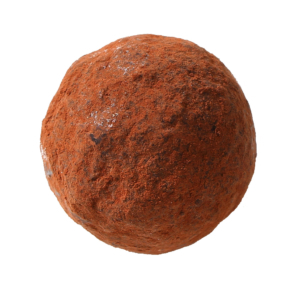 All materials are included and you take home what you make. Children under 7 are welcome but must be accompanied by an adult over 16, and will be the responsibility of that adult at all times. Maximum of 2 children per adult. Children under 3 are free if they share with an adult. Grans and Grandads are especially welcome but teenagers get to choose the music (bring your iphone). Children under 7 are the responsibility of the adults accompanying them at all times. For all workshops please wear old clothes and tie hair back. Keep jewellery to a minimum. Coffee and light refreshments available. Toilet facilities available. There are 4 steps down to the chocolate room, but access to that room is not essential so on that proviso disabled access can be arranged. Please let us know in advance of any allergies or learning difficulties etc. 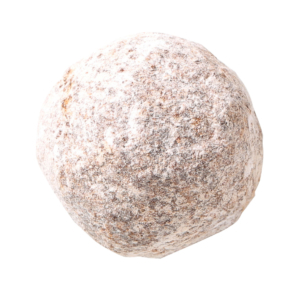 We reserve the right to change the items produced if circumstances require. 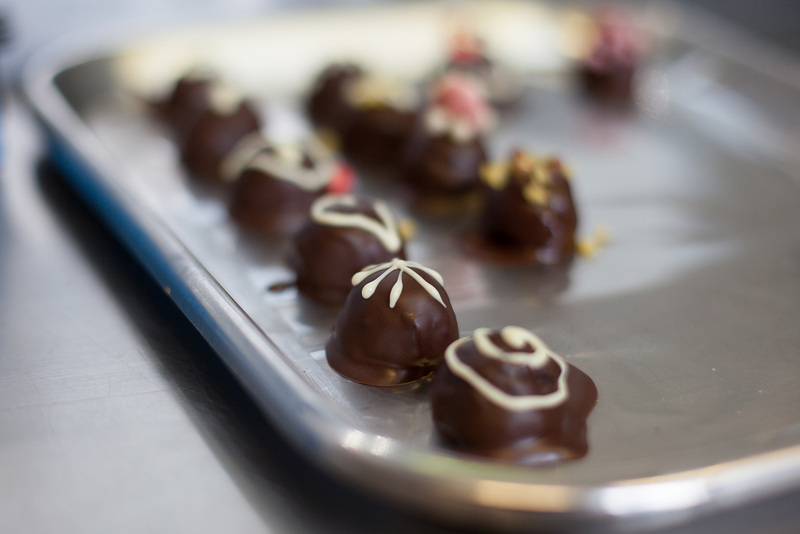 Here at the Coco Kitchen you will find a range of workshops for adults (over 16) focusing on different aspects of chocolate work including producing fresh cream truffles, moulded chocolates and decorative work. In small friendly groups, learn to make a fresh cream ganache and produce at least 3 ballotins of delicious fresh cream truffles with your choice of flavourings toppings and decoration. 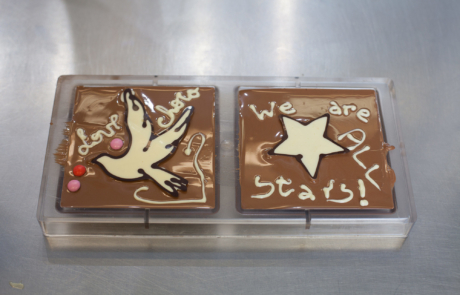 Design bars in the chocolate of your choice using specialist equipment, moulds, transfers and techniques. Wrap, Ribbon and Take it all home to share (or not :). 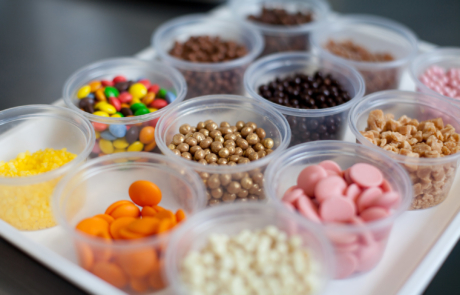 All ingredients are included. You’ll have your own purpose built work station and full access to the chocolate room featuring top of the range tempering machines, vibrating tables moulds and other equipment. Full instructions will be given on the use of the equipment provided and instructors will be on hand. As for all workshops please wear old clothes and tie hair back. Keep jewellery to a minimum. Coffee and light refreshments available. Toilet facilities available. There are 4 steps down to the chocolate room, but access to that room is not essential, so on that proviso, disabled access can be arranged. Please let us know in advance of any allergies or learning difficulties etc. We reserve the right to change the items produced if circumstances require. 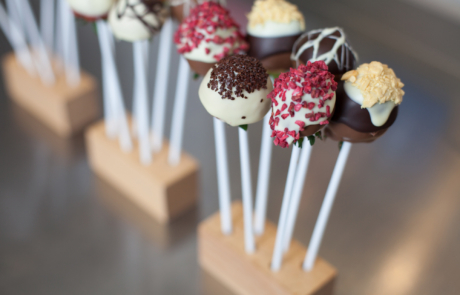 Bring your group to the Coco Kitchen to celebrate with a glass of bubbles and a fun session making your choice of truffles and hen lollies to add a touch of luxury to your party. Slight naughtiness on request. 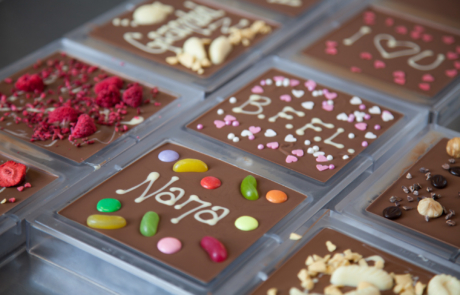 Get all your besties together for a fun session to produce your own design of personalised chocolate tokens or lollies for your guests on the big day. (Call or message us to book). 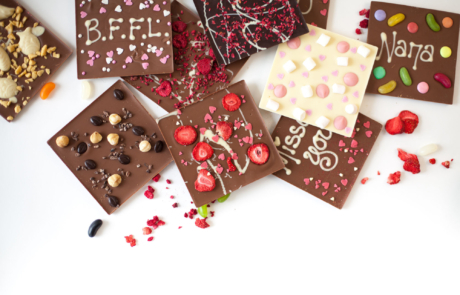 Choose a theme and get your friends together for a chocolate making experience they won’t forget. Special gift for the birthday girl or boy. No Need for party bags this year! 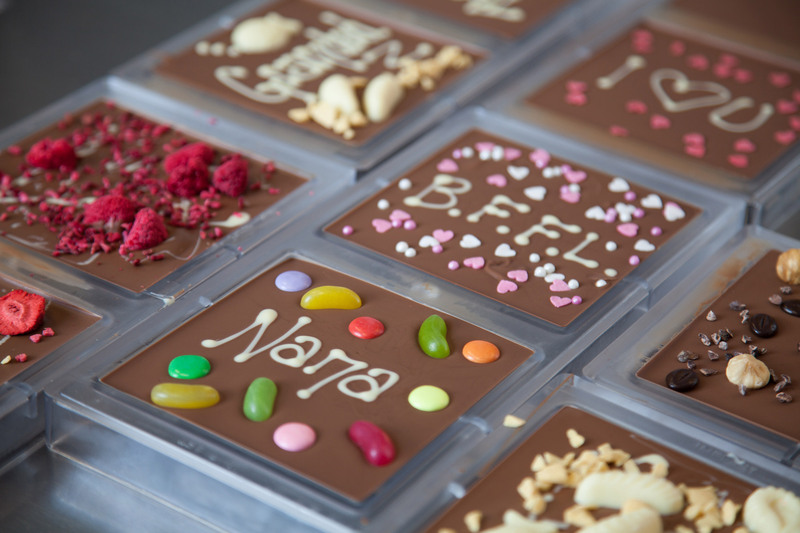 All the guests will get lots of chocolate to take home – a grand total of 21 mini bars and 3 lollies! 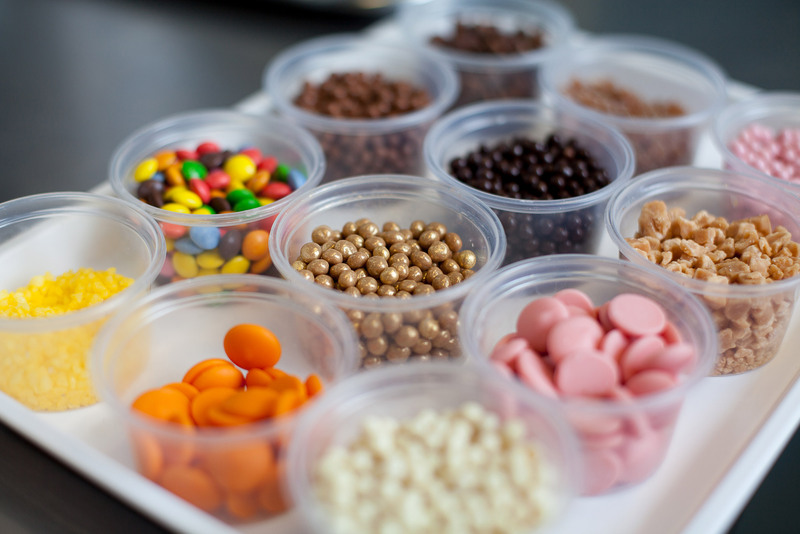 All ingredients are included. Please call or message us to book. 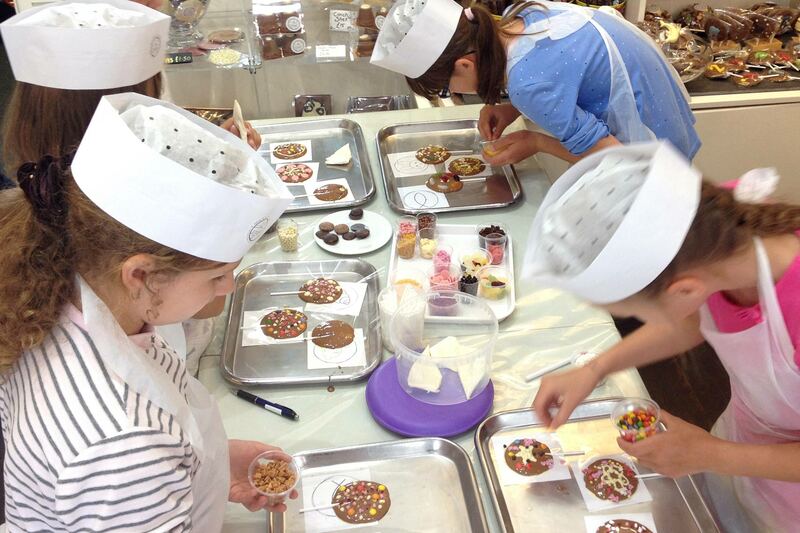 Learn the skills of the chocolatier in beautiful St. Ives with our workshops for young chocolatiers, families and parties. Great fun come rain or shine. 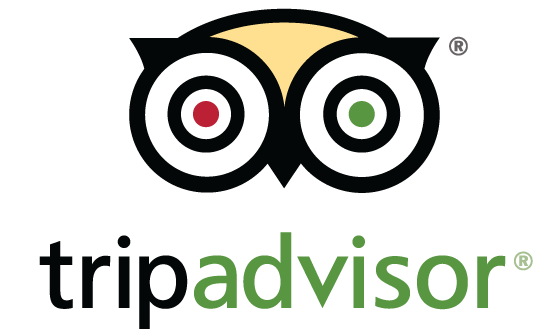 Drop us a line if you want to make an enquiry for a party or book one of our workshops using the links above.